Following the farm field to table movement which has gained national recognition in the past few years, Matt Romero Farms has formed special relationships with several well known Santa Fe Restaurants. Il Piatto, La Boca and the Palace top the list. After spending Tuesdays, Thursdays and Saturdays at the Santa Fe Farmers Market Matt Romero parks his red pickup and trailer on Marcy Street in downtown Santa Fe. Holding a beautiful purple eggplant in his hand, Matt Romero says “there’s no purveyor in the state that can bring you this in less than 24 hours out of the field… this might have been harvested at 4 o’clock yesterday and it’s being served at 6 o’clock tonight- that’s 28 hours out of the field”. 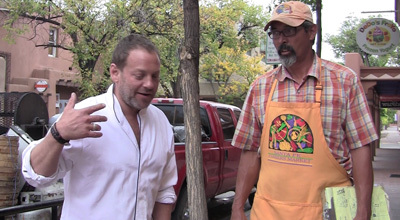 Matt Romero’s Marcy Street deliveries often draw a crowd of local Santa Feans and curious Santa Fe visitors as well as neighboring restaurant chefs. Matt’s great knowledge of vegetables and contemporary farming methods makes for interesting and valuable conversations. You can find Matt Romero, Romero Farms year round at the Santa Fe Farmers’ Market and at the Los Alamos Farmers Market. Winter hours at the Santa Fe Market are Saturdays from 8am to 1pm and Tuesdays (through November from 8am to 1pm. 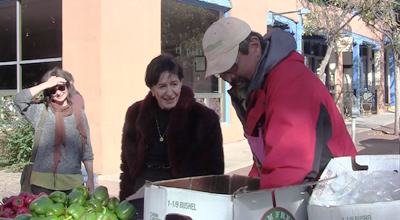 Click here for more information on the Santa Fe Farmers Market. 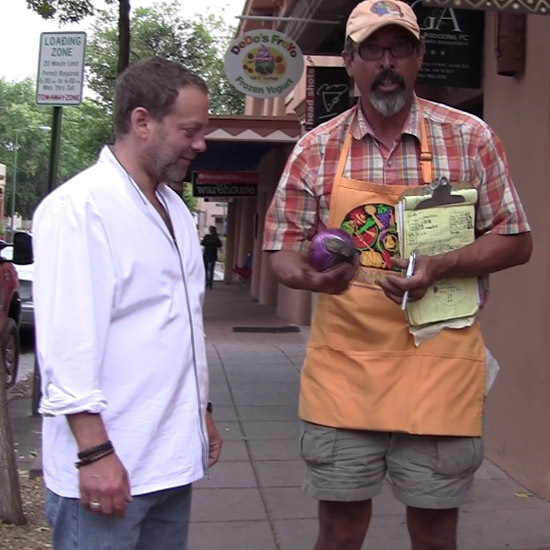 Click here for more information on the Los Alamos Farmers’ Market.